The John Lewis advert has arrived, most cities’ Christmas lights have been lit and it’s starting to feel a lot like Christmas. Here at dealchecker, we’re awfully excited, so we’ve chosen four cities that are bound to get you feeling festive too. 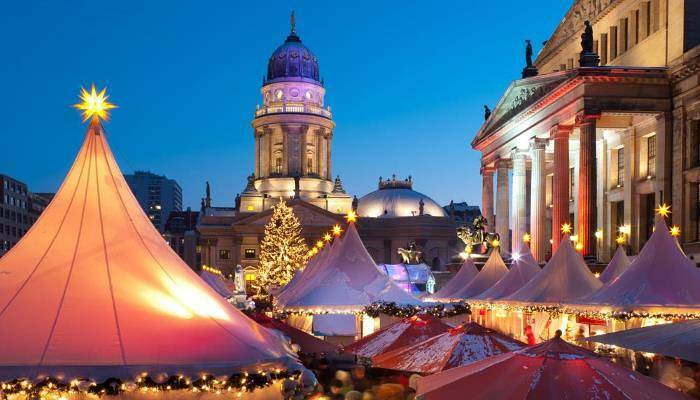 Berlin has more than 50 Christmas markets, many sporting picturesque wooden cabins selling hand-crafted goods and delicious treats. However, shopping is not the only attraction at Berlin‘s offering. The Potsdamer Platz becomes home to a whole host of sporting activities – there is ice skating, curling and a 70-metre-long toboggan run which boasts views of the Brandenburg Gate. Elsewhere, at the Dahlem Museum there is a global vibe in a market called the Market of the Continents. Here, you can pick up unique craft goods which were created all around the world if you’re looking for something a bit different. 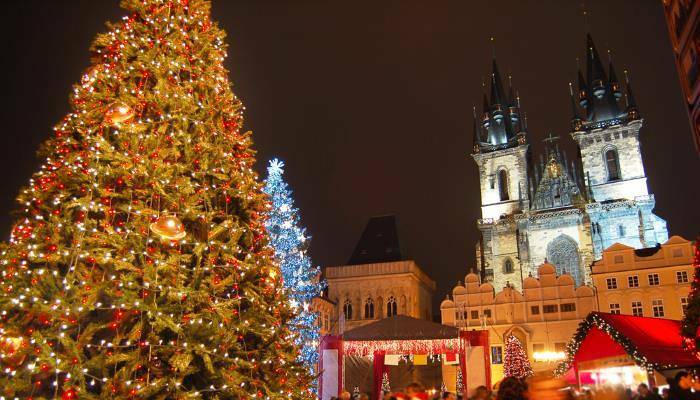 Prague’s Christmas markets conjure up picture-perfect scenes: you can eat roast chestnuts from a wooden-clad stall in the confines of the city’s Old Town Square whilst watching a choir sing in front of a vast Christmas tree. If that doesn’t put you in the Christmas spirit, we don’t know what will! Those looking for romance might prefer to glide across the ice, hand-in-hand with their partner, at the outdoor ice rink in Ovocný trh. Evening slots are the most peaceful, and allow for a more relaxing ice skate. 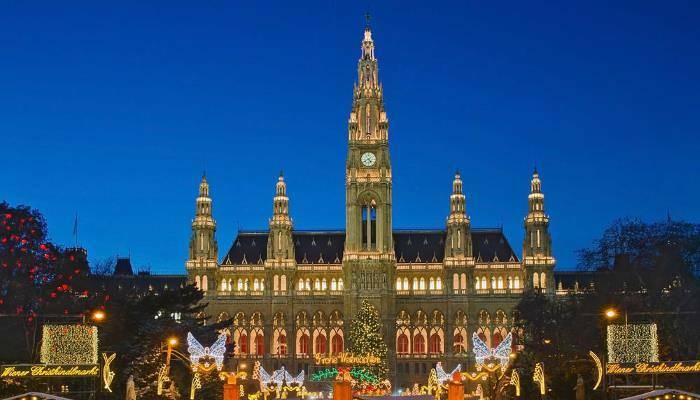 Vienna is one of Europe’s prettiest destinations, and this is no different come Christmas time. Its cobbled streets and sprawling palaces could lift a mood even on the darkest of winter days. Glühwein (otherwise known as mulled wine) plays a big role in Vienna‘s Christmas festivities, so you can peruse the stalls selling wooden toys and chestnuts whilst sipping on this warming drink. Children don’t miss out on all of the fun, either. The City Hall becomes a treasure trove for children looking to celebrate Christmas with cookie making classes happening alongside lessons about the festive season. Those looking for hand-crafted Christmas decorations might want to head to Poland’s second city, where intricate hand-painted glass baubles are sold at the Christmas markets. There are also pottery pieces and tablecloths on offer in the wooden stalls which adorn the Rynek Glowny Grand Square. Those looking to escape the cold should head to one of the city’s famous milk bars which hark back to socialist era Poland and offer delicious, hearty food at incredibly cheap prices. This will allow you to spend your money on the bountiful treats available at the markets. ← 9 Tea-rific Hot Drinks from Around the World!